Sometimes a physician will order for a patient to be placed on either a soft or mechanical soft diet. While these two diet orders sound similar, there are differences in why they are ordered and what foods should be eaten on each diet. A soft diet is ordered when a patient needs foods that are soft on the stomach. This diet is often ordered for patients who are very sick with gastrointestinal issues or for patients who have had surgery. After surgery, patients are usually "NPO," which means nothing by mouth; in other words, they cannot have food until their physician clears them to. Once cleared for foods, these patients are upgraded to a liquid diet. After showing they can tolerate that, they will then often be put on a soft diet. The soft diet provides real food, but only food that is thought to be gentler on the stomach than food in a regular diet. 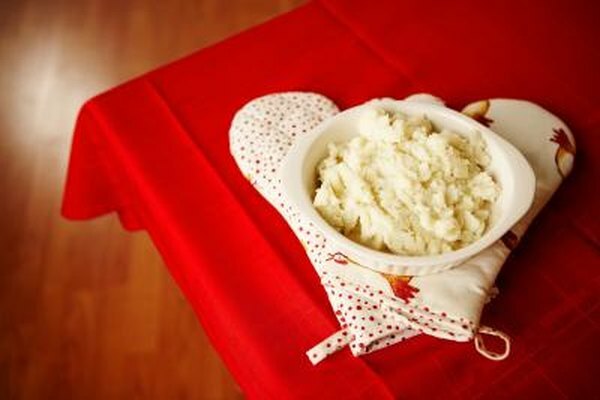 Some people may only need to be on a soft diet for a meal or a few days, while others may need to generally follow a soft diet. A mechanical soft diet is a diet that consists of foods that are mechanically altered so that they are soft and easy to chew and swallow. This kind of diet is often prescribed for patients who have difficulty chewing and swallowing for any reasons, including missing teeth, ill-fitting dentures, inability to chew well due to stroke or some other medical reason, chemotherapy or radiation treatment or a sore mouth for any reason. Some people may be placed on a mechanical soft diet while they are in the hospital or recovering from something like a stroke. These people may then be upgraded by their physician or speech language pathologist once they have recovered enough to chew foods regularly. Foods that are appropriate for a soft diet include foods that are more bland; extra seasonings and spices should be avoided. Good food items include mashed potatoes, well-cooked vegetables and baked chicken. Soups, ice cream and cottage cheese are also appropriate for a soft diet. Foods that are considered to be in the mechanical soft diet category include foods that do not require much chewing and are soft on the mouth. Examples include ground meats with gravy, mashed potatoes and soft-cooked noodles. Soups, scrambled eggs, ice cream, jello and cottage cheese with soft fruit such as peaches are good choices. The following foods should be avoided while on either a soft or mechanical soft diet. Breads with nuts or seeds; cereal; corn; potato chips; popcorn; raw or hard vegetables; fruit with skin or seeds; dried fruit; meat that is tough or stringy; peanut butter; nuts and seeds. The mechanical soft and soft diets are different from each other, so it is important to pay attention to the diet recommendations. As always, follow the advice of the prescribing physician, and seek guidance from them and a registered dietitian when any questions arise.